* prices in PLN, per person. PLEASE NOTE - Price do not include: guide, admission fees Visit Auschwitz & Birkenau also known as a world symbol of the Holocaust. This is a place where over 1,000,000 people where killed. It was established in 1940. Auschwitz was a network of concentration and extermination camps built and operated in occupied Poland by Nazi Germany during the Second World War. Auschwitz was the largest of the German concentration camps. A place definitely worth seeing. 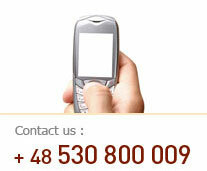 Our English speaking driver will pick you up directly from your hotel or any other point you choose. TOTAL PRICE always includes all the taxes and additional costs. A complete tour takes approx. 5h 30min. During your tour in Auschwitz & Birkenau the driver will be waiting for you. You will spend about 3h 30min in Auschwitz and Birkenau concentration camps, where you will join an English guided tour with the Museum’s licensed guide. The tour begins with a 15-minutes documentary film about the liberation of the camp.After visiting both camps we will take you back to Krakow, wherever you want. You can choose the place of start Auschwitz Birkenau tour for example Krakow / Katowice airport, others city. Price do not include guide and admission fees. 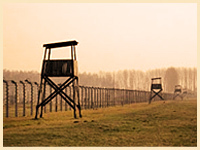 You can also arrange one day stady tour in Auschwitz Birkenau – more info contact with us! Travelling with friends or family? Ask about discount for group over 4person!